Each season’s sky hosts a different set of celestial objects. 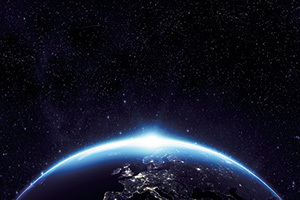 While the night sky looks basically the same as it did for the ancient civilizations, it changes drastically throughout the year due to Earth’s orbit. Gerard Fasel, assistant professor of physics and coordinator of the 3/2 engineering program at Seaver College, offers a brief tour of the delightful displays that decorate the summer sky. 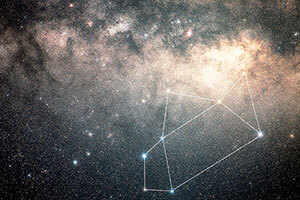 The constellation Scorpius is visible at night and contains the red supergiant Antares, a dying star that will eventually collapse and explode as a supernova. Antares is about 645 times the diameter of the sun. 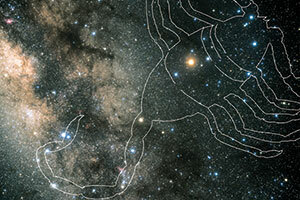 The Sagittarius constellation and its prominent “teapot” asterism appear in the southeast night sky from July through September. Galactic gas and dust create the appearance of steam coming out of the teapot’s spout. Beyond the spout is the center of the Milky Way. The apparent magnitude of a celestial object is the measure of its brightness as observed from Earth. The brighter an object appears, the lower its magnitude value. The sun, the brightest object in the sky, has an apparent magnitude of -26.7. 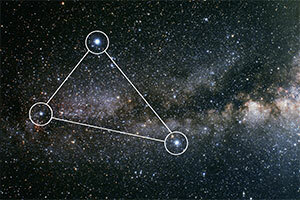 The Summer Triangle is an asterism (a group of stars that make up a visible pattern) made up of Deneb, Vega, and Altair, three bright stars in three different constellations. Deneb, the brightest star in the constellation of Cygnus, exudes a light that was originally emitted around 600 AD. 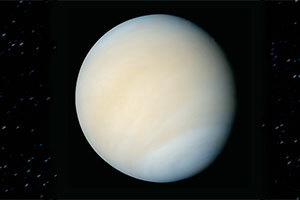 Venus is visible just as the sun is setting in the west. It continually moves higher in the western sky until it reaches its highest point and then moves lower until it disappears from view. When it passes between the earth and the sun, it will be visible early in the morning.